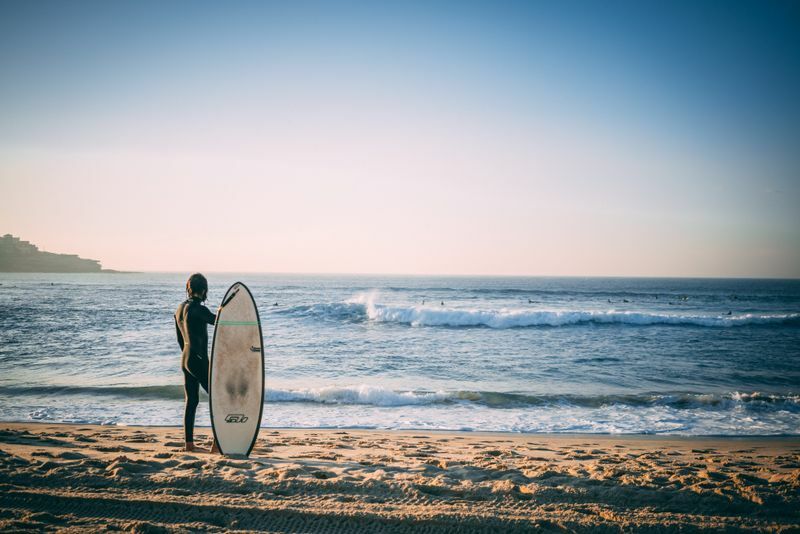 Is surfing something you’ve always wanted to try, but you weren’t sure whether you’d be any good at it? Or maybe you were afraid you would fail? Don’t worry, we’ve got your back, future surfer! 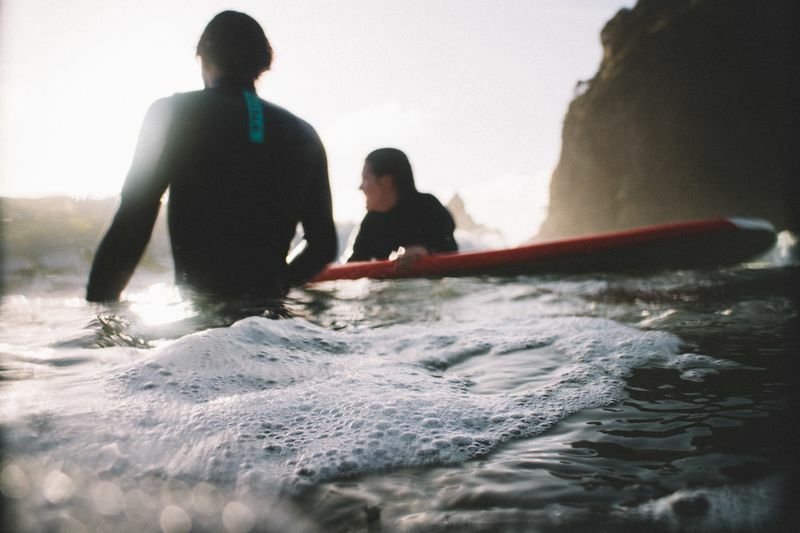 We have put together 25 tips for beginner surfers that will help you start your awesome new journey. Aside from these useful tips, we’re here to also remind you to expect to put in some hard work into it! Nobody ever jumped on a surfboard and surfed a big wave. Just like any other sport, you need to dedicate time and effort into learning and becoming better at it. 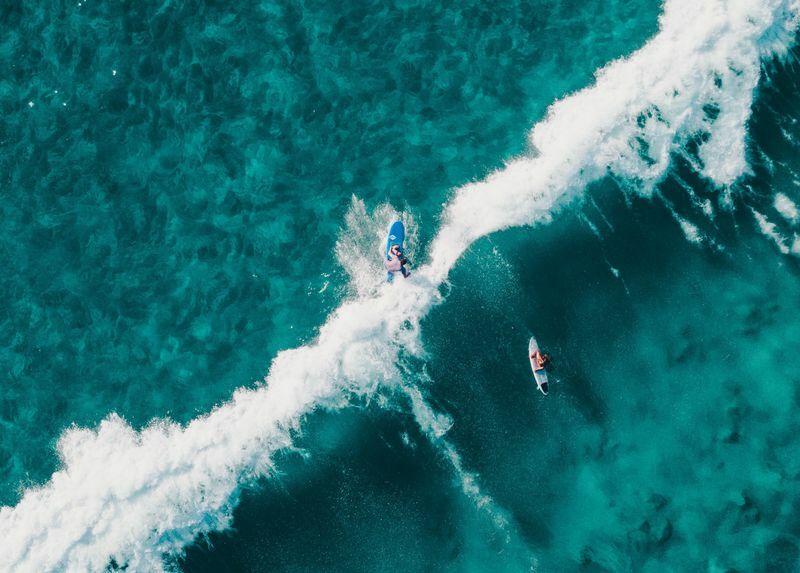 But don’t let this scare you; surfing is one of the most beautiful sports out there and a wonderful way to relax, work out, and meet great people. 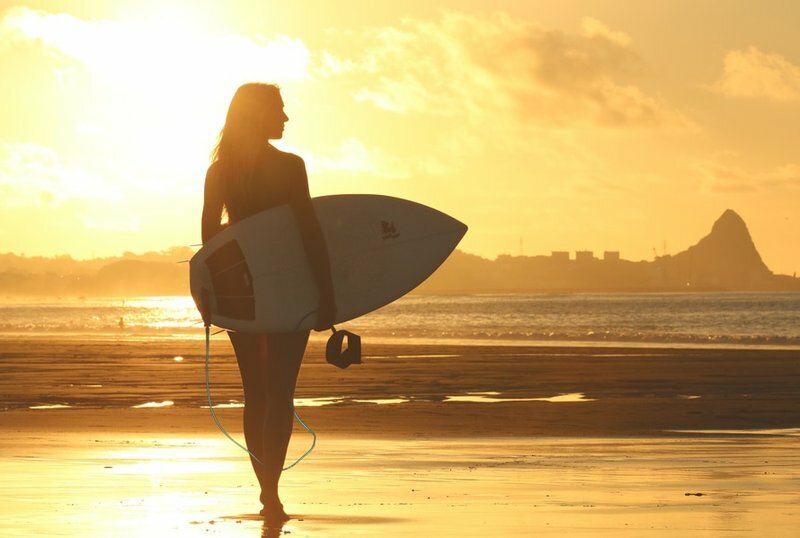 If you follow these tips, you’ll be on your way to becoming a great surfer! No matter how easy you think it looks, never, ever approach surfing by yourself. 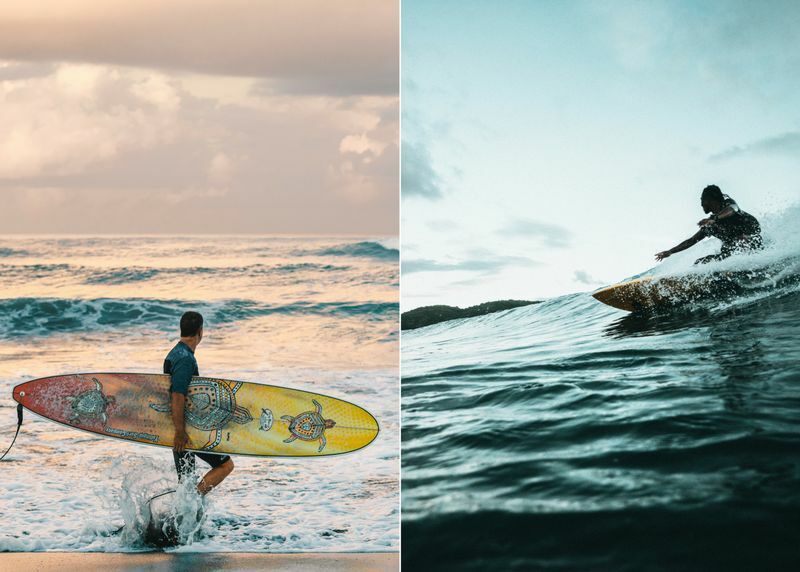 Either get an experienced friend to teach you or go on a surf camp for beginners. This way, you’ll avoid injuring yourself or even putting your life in danger. If you decide to take some surf lessons, research the teachers in advance. Make sure they are experienced and have good reviews. Sometimes, a good teacher won’t just teach you how to surf; they’ll also inspire you and make you fall in love with surfing. This is one of the best beginner surfing tips you could ever follow. A large board will offer you a bigger surface to learn on and they’re also much better floatation devices. For some beginners, soft-top surfboards also help with the learning process. A large and soft-top surfboard is going to be gentle on your feet and posterior. Make no mistake, at the beginning, you’ll be spending a lot of time sitting on it, rather than standing! This one is a very important safety requirement, not just a cool tip! It will take you a while to get used to it, and it will get in your way a few times, but a surf leash can potentially save your life, so make sure you are never without one! It is essential that you do a little warm up before you enter the water. Stretching out your muscles and tendons will decrease the chances of muscle cramps and it will also increase your heart rate, thus oxygenating your blood and pumping you up for the action! 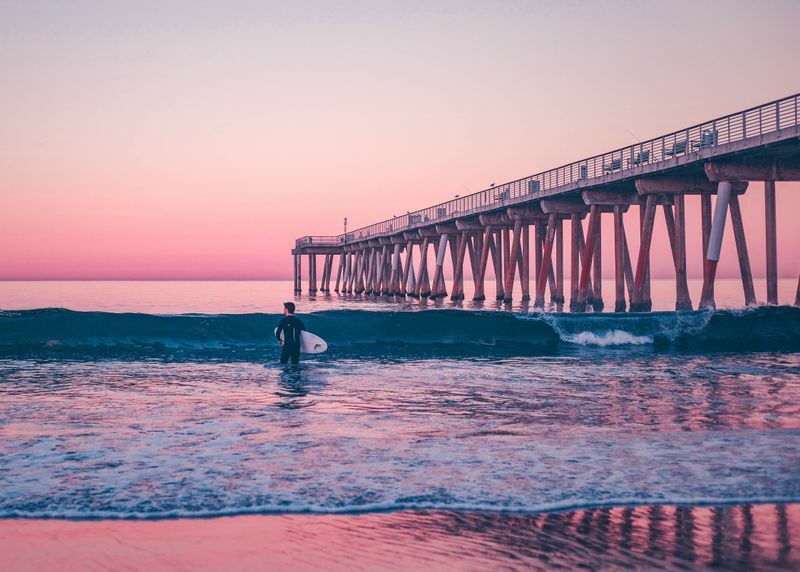 Going to a beach that is appropriate for beginner surfers is crucial to your surfing success. 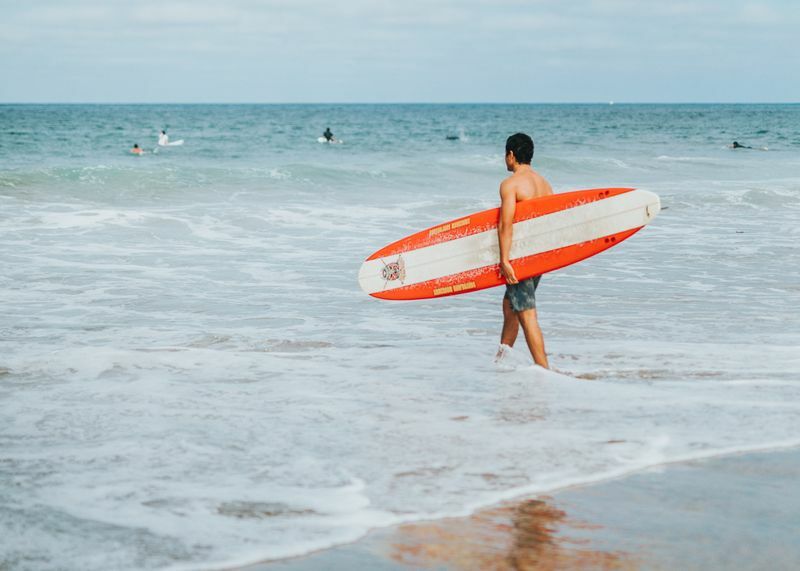 Learn to surf on a beach known for good, steady waves and the whole learning process will be smoother and you’ll be upgrading your beach in no time! Before you make your way into the water, look at the waves and study them. See how and where they break. 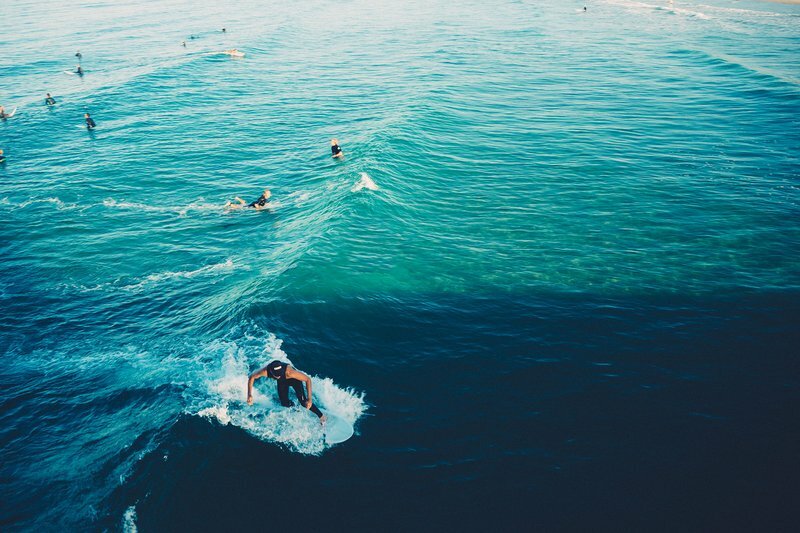 Keep your eye on the other surfers and see what they do. You should do this every single time before you go into the water, not just as a beginner surfer. We know that learning new stuff can be quite overwhelming, but take a few deep breaths, even do some light meditation, and center yourself. Remember that this is something you want to do and something that you will most likely enjoy doing for a long time! Once you get into the water, you will need to pace yourself. We know how excited you may feel, but if you don’t pace yourself, you can risk injury! 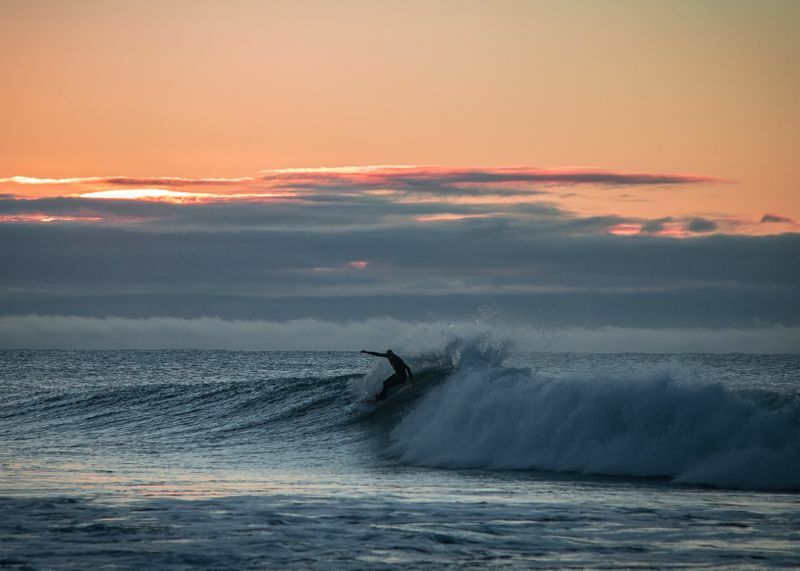 Remember, you have all the time in the world to surf! We know this may be a piece of commonsensical advice, but it needs to be said: start small! 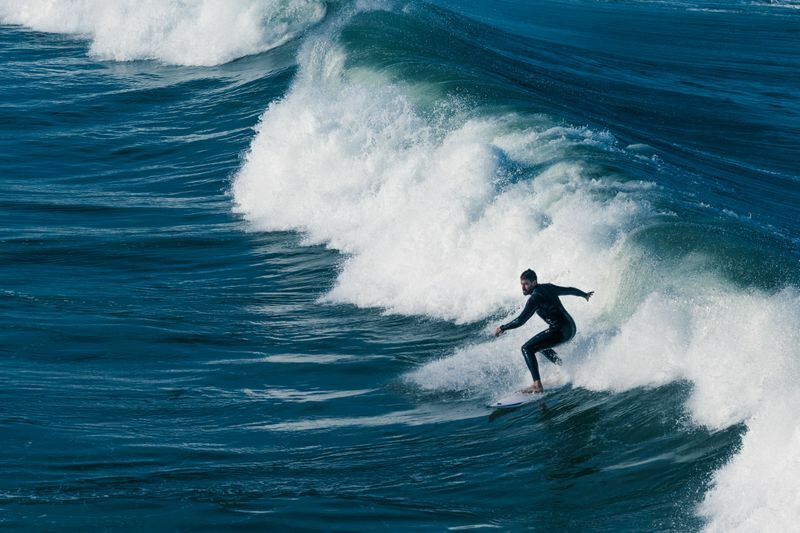 Tackle small waves before you attempt larger ones. Even though you may feel ready, unless your teacher says you’re ready, you’re not! Also, don’t even dream of tackling big waves until you’ve mastered regular surfing. 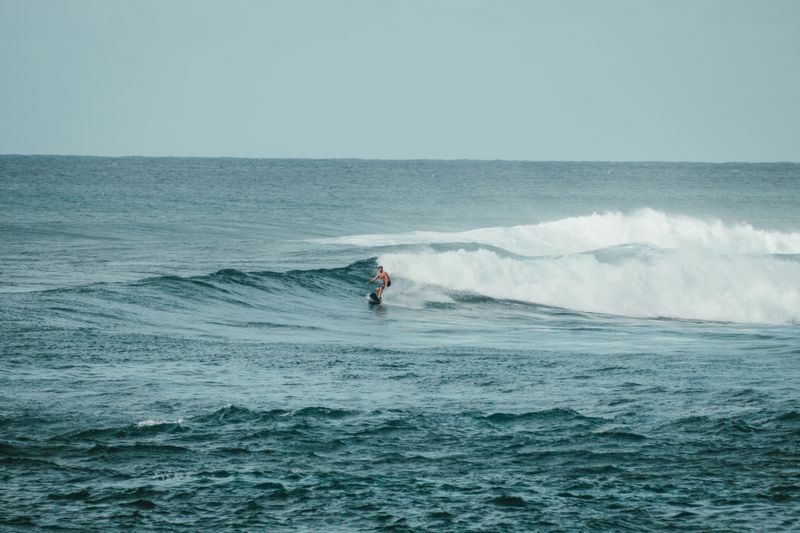 This advice ties in with our previous one: don’t get tangled with the big dogs, which means pretty much to stay away from where the experienced surfers are surfing. As a beginner, you’re prone to making lots of mistakes, and you want to avoid getting in people’s way, causing trouble. The prone position is something you will need to master. First, you need to get comfortable in it while on dry land. Lie on your surfboard, balanced and centered. 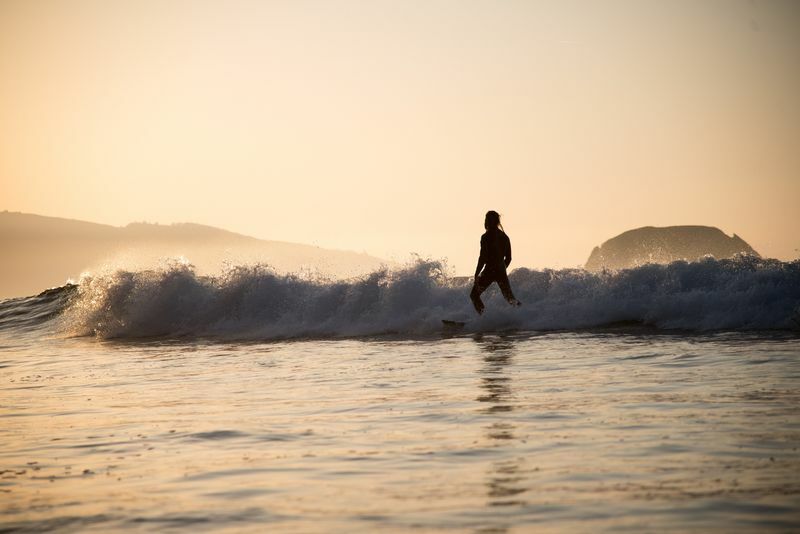 Feel the surfboard, move around and try to master it before you venture out into the water. Once you got the prone position, you will need to learn how to pop-up. The pop out from prone position should be swift and seamless. Think of push-ups, as the two are very similar. Practice while on land and in the water. 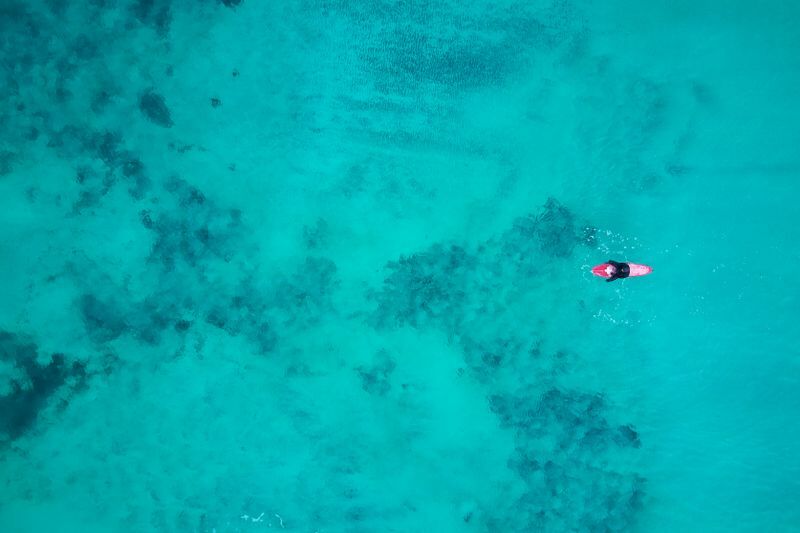 While in the water, you need to learn to keep moving your feet. Shuffle them, move them around, while swimming or on the board, just don’t let them dangle away as if they weren’t attached to your body. If you keep moving them, the chances of being stung, bit or something along those lines is reduced. Paddling is another thing you will need to practice until you get it right. The key is to find a rhythm and to keep it. This also requires you to be in shape, because it will be quite exhausting the first few times. 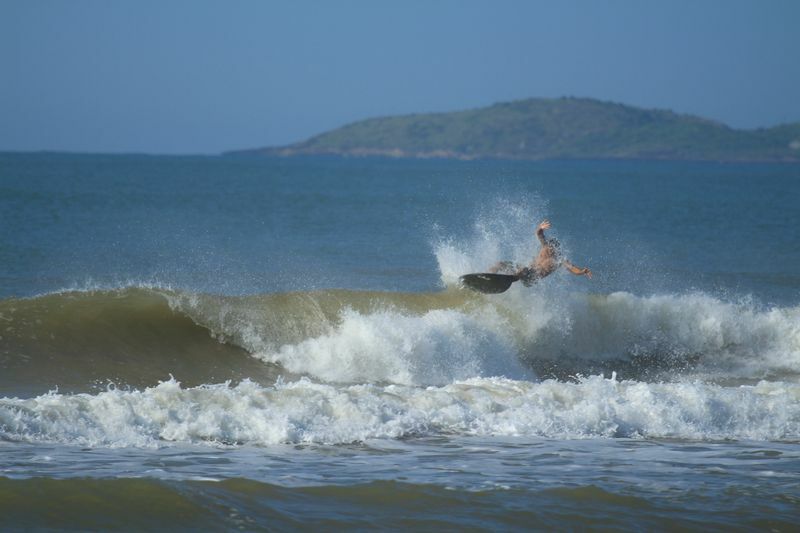 Before anything, you should know that you will probably nosedive when surfing. 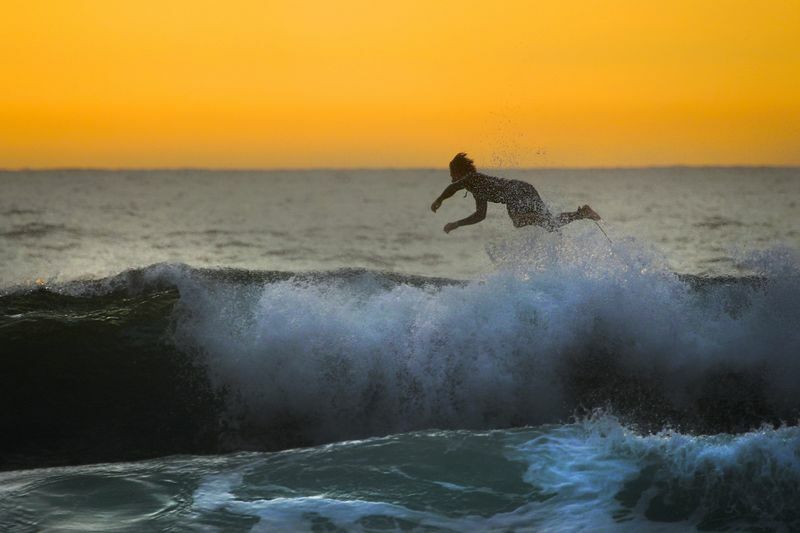 Every surfer has done it, and you will also do it! But you can avoid it. In order to avoid nosediving as much as possible, it is really important to learn how to position your surfboard to the waves. Talk to your teacher about nosedives for more information. If there’s one certainty when learning to surf, it’s the fact that you will be involved in a lot of wipeouts. You will fall, and fall, and fall… and then you’ll fall some more. The waves will knock you down, you’ll get confused, and frustrated, and you’ll even get some bruises. All you need to remember is that it’s all part of the game. When you’re on the wave, it is imperative that you bend your knees and not your back. If you bend your back, you’ll not just lose your balance much easier, but you’ll also look like you don’t know what you’re doing. 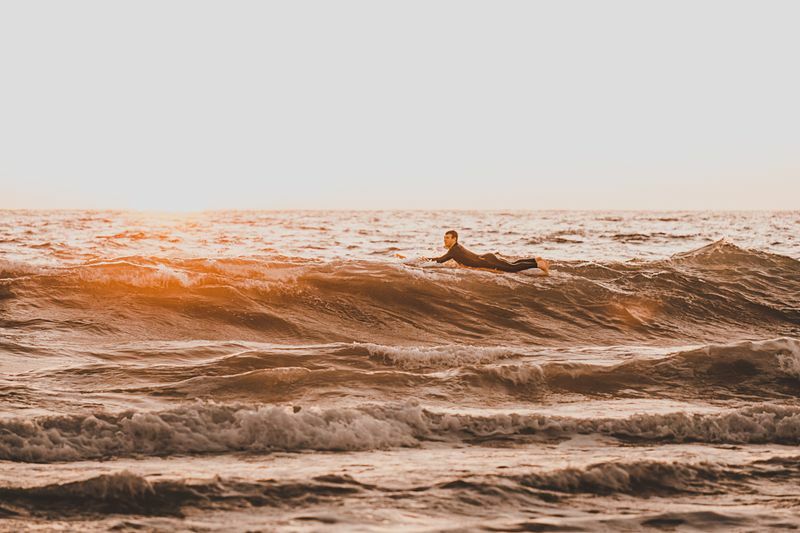 That being said, now that you know that you will go through some wipeouts when learning how to surf, it’s really important to learn how to fall. While you never know how a wave can knock you down, you can learn how to wipeout. Your instructor is the right person to teach you how to fall and hold your breath, when to surface, and when to stay under. This is probably one of the most useful tips you will ever need! When a breaking wave is ahead of you, then you can duck under it or go over it. No matter which one you choose, you need to stay perpendicular to the whitewater, the part of the wave that is breaking (which is white, hence its name). If you don’t, then you will be pulled under the wave and dragged to the shore. Whatever you do, we urge you to listen to your body. If you are tired, bored or you simply aren’t feeling the surf session anymore, stop what you’re doing, head to the shore and relax. You can always pick up where you left off the next day. No use in pushing yourself when you’re just starting off. 25. Last but not least, have fun! 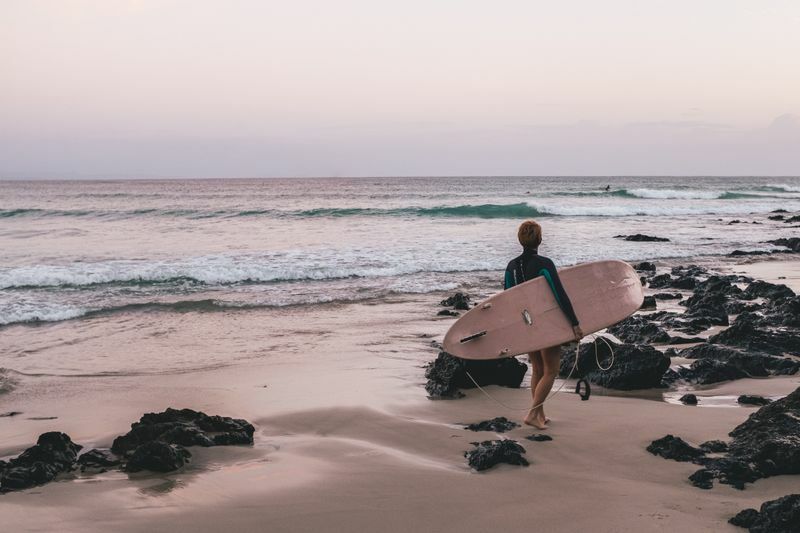 Now that you have the know-how, book yourself a spot on a budget-friendly surf camp and get all the help you need to become the surfer you’ve always dreamed of being. Without breaking the bank! Cristina is the Community Manager of BookSurfCamps.com, a themed surf website offering a vast collection of surf camps and vacations. She is also a passionate traveler, cat aficionado and novice writer.